Florida Pump Service offers the fastest and most reliable pump service in Northeast Florida. Our trained technicians can fix all your pump system needs. Whether it’s in house or on the road, we can help. We sell pumps, parts and accessories anywhere, for Residential, Industrial, or Commercial applications. We carry pumps and parts for all your needs. At Florida Pump Service, our experienced technicians are able to handle any kind of pump problem you might be having. Our service technicians provide both in-shop or on-the-road help. Our 24 hour service is here around the clock for your needs. In Northeast Florida, 95% of the water supply contains impurities. 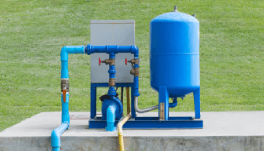 We offer a variety of water treatment systems for all types of problems. From Water Softeners to Iron Removal, we carry the right products for city supply and well water. Trust the experts when it comes to pump installation. Fully licensed and insured, our technicians can install or repair any system, and our 24-hour emergency service makes sure you're never left high and dry. 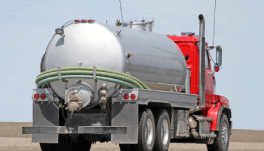 Do you need an emergency septic tank pump out? Are you planning to schedule a septic tank pump out? We offer reliable 24-hour service. For over 65 years, Florida Pump Service, Inc. (FPS) has been serving Northeast Florida commercial, residential, and industrial sectors with top of the line products, service, and parts. Established in 1948, FPS has grown from a two person operation to over a dozen employees with more than 100 years of combined experience. With an entire fleet of trucks and 24 hour service, FPS is prepared for all your pump needs. We Make Water Happen!